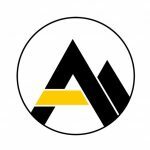 The App State women’s soccer team was no stranger to tough games going into their match against conference foe Arkansas State. With the exception of Texas Tech, all of their games have ended in either ties or been within one goal. 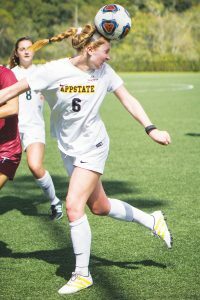 This one was no different as the Mountaineers (2-7-3, 1-2-1 Sun Belt) battled the Red Wolves (6-4-1, 2-2-1 Sun Belt) to a 1-1 draw. 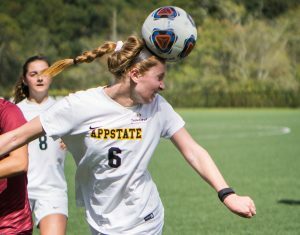 After an even first half, App State was unlucky to concede as sophomore goalkeeper Taylor Ray seemed to have saved a header from a corner before the ball crossed the goalline, but the assistant ref said otherwise. 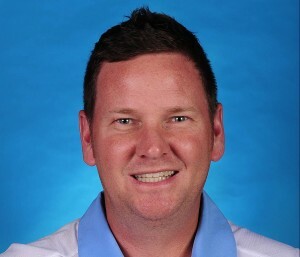 Despite giving up this goal, the Mountaineers changed the momentum of the game creating several great chances. 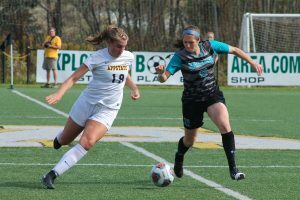 Senior forwards Lindsey Tully and Morgan Mosack and junior forward Sarah Peatross led the strong offensive showing, all by registering multiple shots on goal. 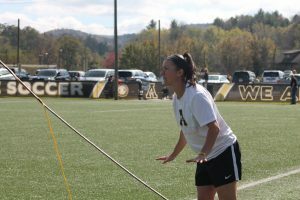 These efforts were well rewarded after junior forward Kat Greer was able to equalize in the 86th minute, after receiving a through ball from Peatross, good for her fourth goal of the season. Sophomore Kristin Brown fights for the ball against Arkansas State. 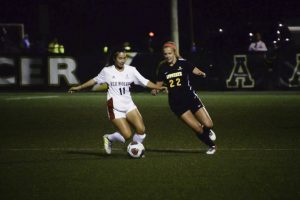 The Mountaineers tied with the Red Wolves in double overtime 1-1. Despite giving up a goal, the App State defense still posted a strong performance, led by Ray who had five saves in goal. 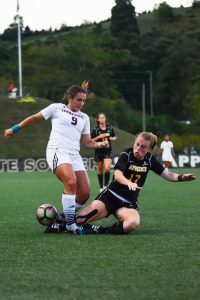 Juniors Alexa Asher and Emmily Cowie and sophomore Jessica Easley all worked well together in anchoring a defense that held Arkansas State, a team that has six players with multiple goals, to only one for the day. 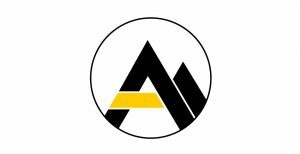 The Mountaineers now look to extend their good run of form in Sun Belt play as they travel to Texas State on Sunday to take on the on the Bobcats at 8 p.m.
One hundred ten minutes were not enough to separate Appalachian State men’s soccer and High Point as the Mountaineers (3-5-2) earned a draw on Saturday night against the Panthers (3-3-3). 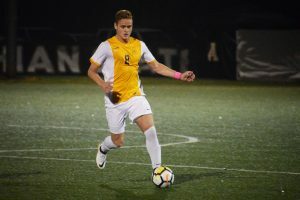 Junior goalkeeper Jake Chasteen earned his second clean sheet of the season as the App State defense were able slow down a strong high point attack that had several great options going forward. The Mountaineers struggled to get going offensively, only taking five shots the entire game, but the few opportunities they had were quality chances. 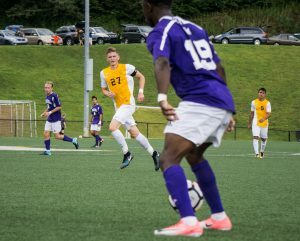 The best one coming in in the final seconds of regulation when freshman defender Zeiko Harris sent in a dangerous cross that was narrowly knocked out of harm’s way by the High Point goalkeeper. 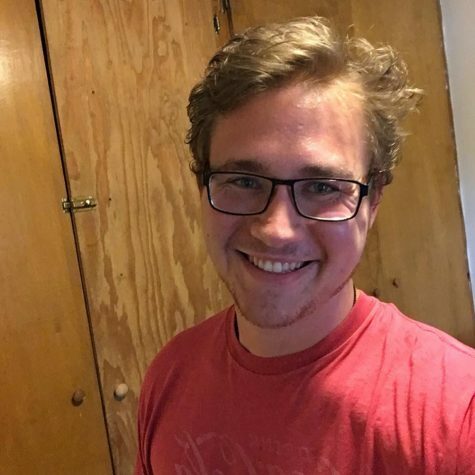 Freshman forward Marc Pfrogner was App’s biggest threat going forward registering two shots, with senior defender Ian Bennett and freshman forward Reed Hunnicutt all taking fire as well throughout the game. Defense however, responded well after conceding in back-to-back games against UNCG and Duke. 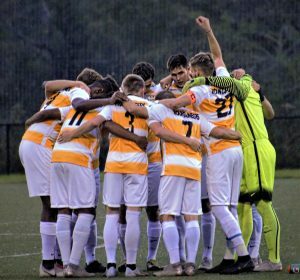 Senior defender Jeremy Tshongo and junior defender Felix Kollmannthaler’s strong play kept the backline organized and freshman Yoni Spencer also provided some quality minutes off the bench. 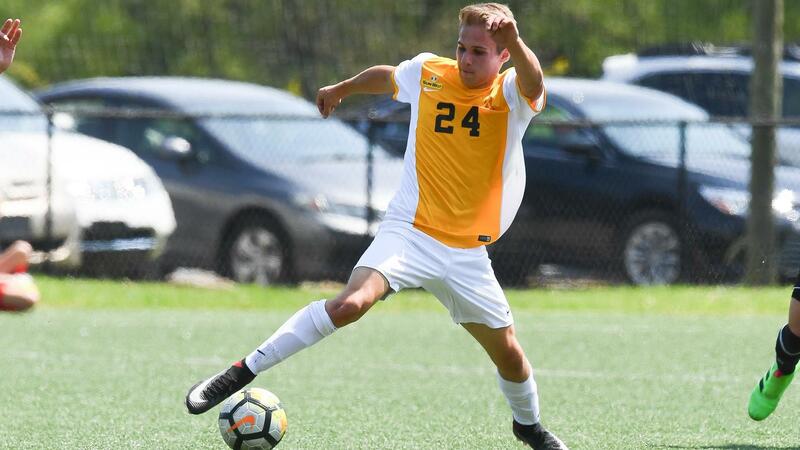 The Mountaineers will kick off Sun Belt play when they travel to Howard on Saturday, where they will hope to continue their defensive consistency and start to put the ball in the back of the net.